So many chili recipes…how do you decide?? When I look for something new, usually I look for a) not a ton of ingredients (easy! ), b) light on the beans (don’t want to use all of my carb servings! ), and c) one step. Usually, I can change the one step thing if it’s more, which is where I started adjusting this recipe that I liked because d) it already had the container counts worked out…a huge help! Another way to switch things up is to use frozen vegetables…already chopped, you can add whatever you like, and they keep forever so you can have them on hand. I like to have frozen peppers and onions on hand to add vegetables to almost anything. And…what makes an easy recipe even easier? Easy clean up! Slow Cooker liners to the rescue! Not only is the clean up easier, but these make it easy to get everything out of the crockpot when it’s done cooking. Plus, you could put all the ingredients in it at night, pop the bag in the crockpot in the morning, and have dinner at night. So, for the recipe! How does this look?? Hearty, filling, delicious! Add all to crockpot. Stir. Cook on low for 6 hours. For Container users…1 Green, 1 Red, 1 Yellow which fits fairly perfectly for me! What are some of the things you look for when trying to find a recipe? I promise that I won’t spend forever comparing child 1 to child 2, but it is amazing how different they are. My first screamed for 8 weeks. Morning, noon, night. Slept from about 2:30am-5 am and that’s it. This guy falls asleep at the drop of a hat. And it’s actually a problem. 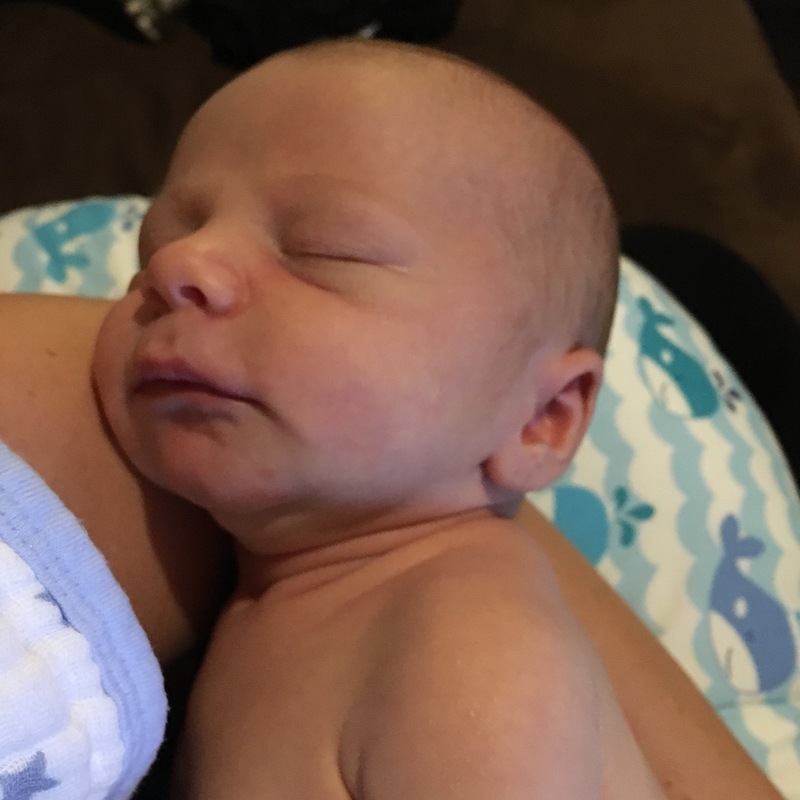 1- feed baby, switching sides when he falls asleep and stops swallowing. He looks to be so content, but will wake up hungry in a few minutes! 4-In between time…last round was putting my daughter to bed. And right after that, back to step 1! This should be a short term thing, but right now, it’s dominating our days! So if you don’t hear a peep out of me for a bit…you know where I am. 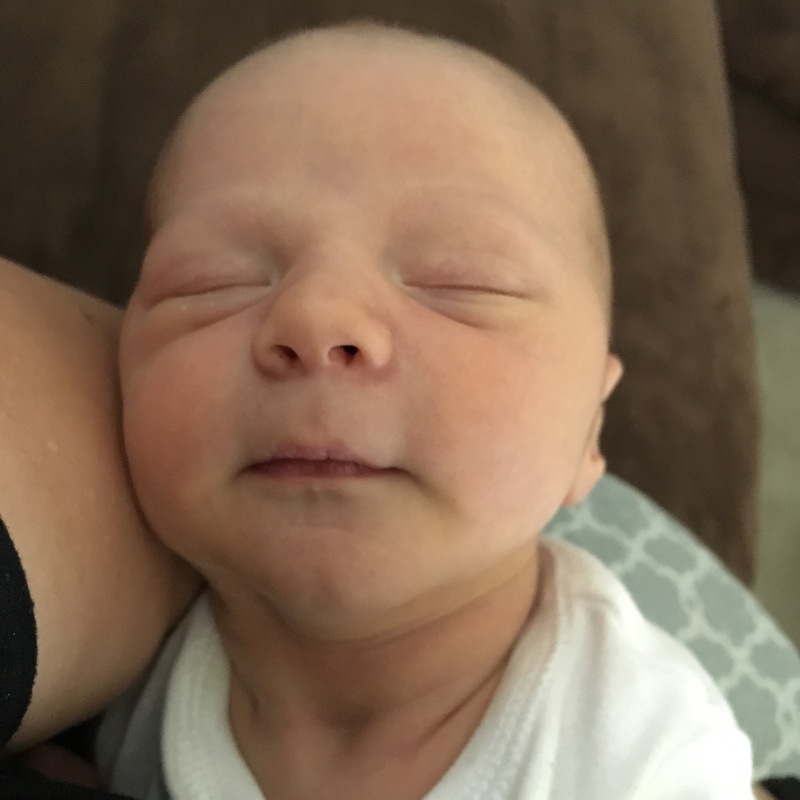 Well, he’s already 11 days old, but I’ve been busy spending all my time with him! 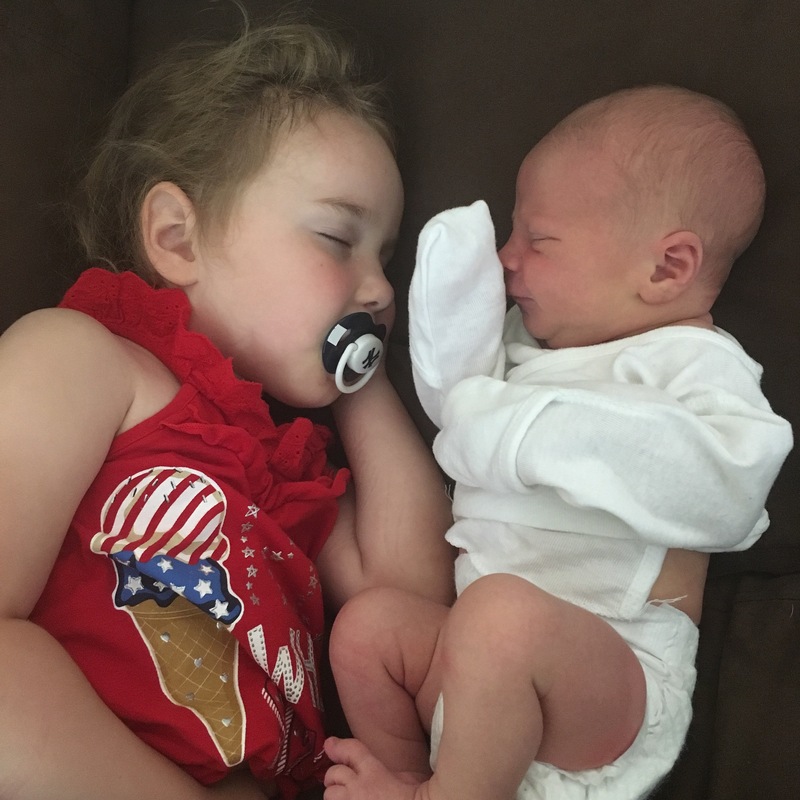 I didn’t even finish comparing my pregnancies before it was time to compare kids! 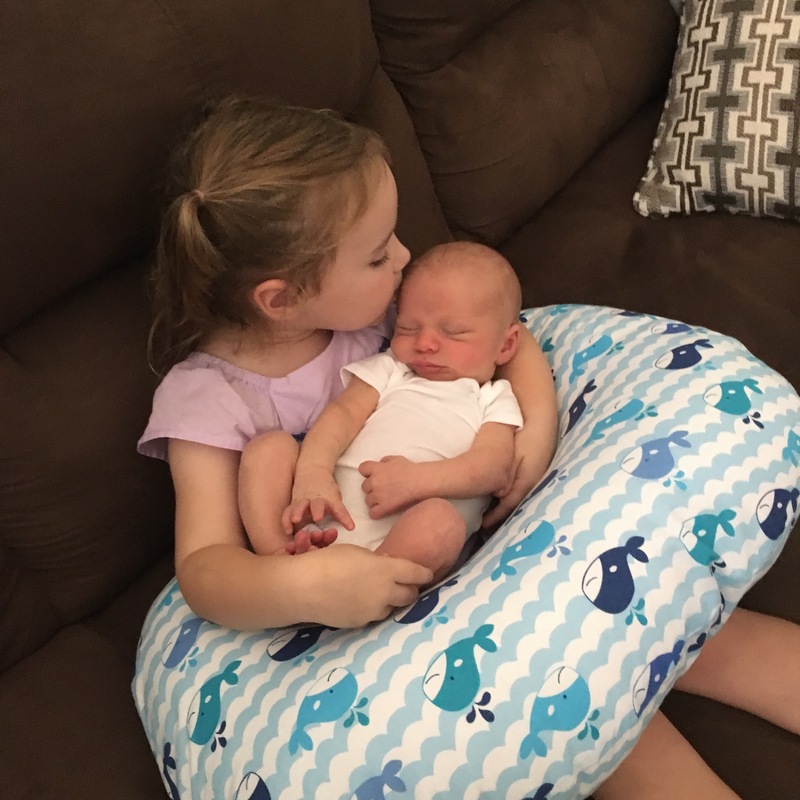 I had him at 39 weeks and 1 day…very different from 41 weeks and 1 day with my daughter. And when he decided to join us, he was here fast and fierce! I had some contractions on Wednesday, the 24th, but nothing too notable. Even at 2am Thursday, contractions were 7 minutes apart. 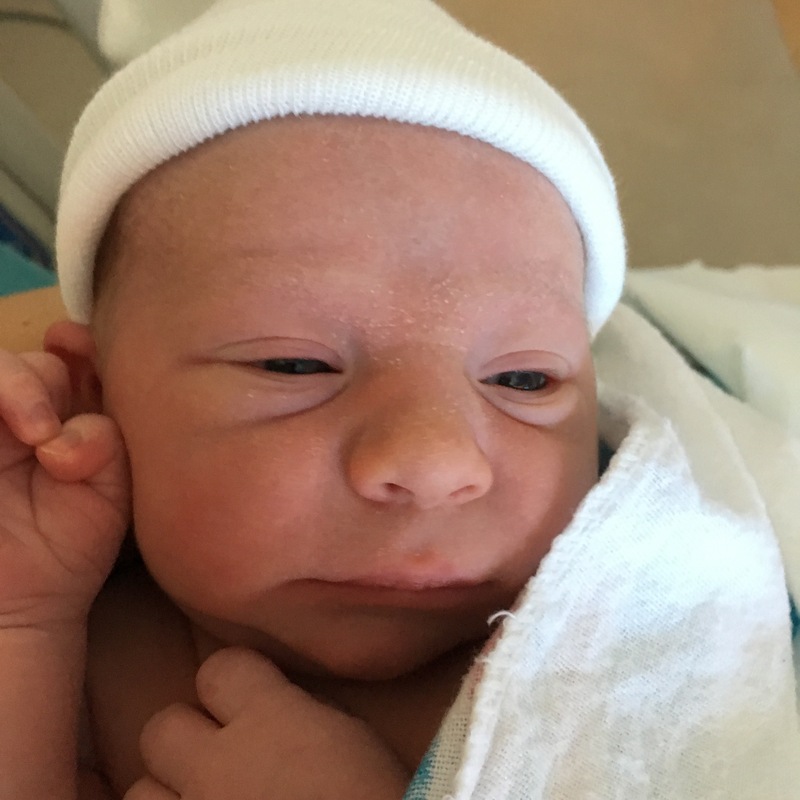 He was born in less than 2.5 hours! So now we get to enjoy this little dude, and figure him out. Compared to our daughter, who screamed the first 8 weeks of life, was never really a newborn, and didn’t sleep (would have cut into her screaming! ), this guy is pretty calm and content. We expect that this means he’ll be a challenge as he gets moving! I’ve been thinking a ton about my pregnancies since my first post comparing them, so here goes another! 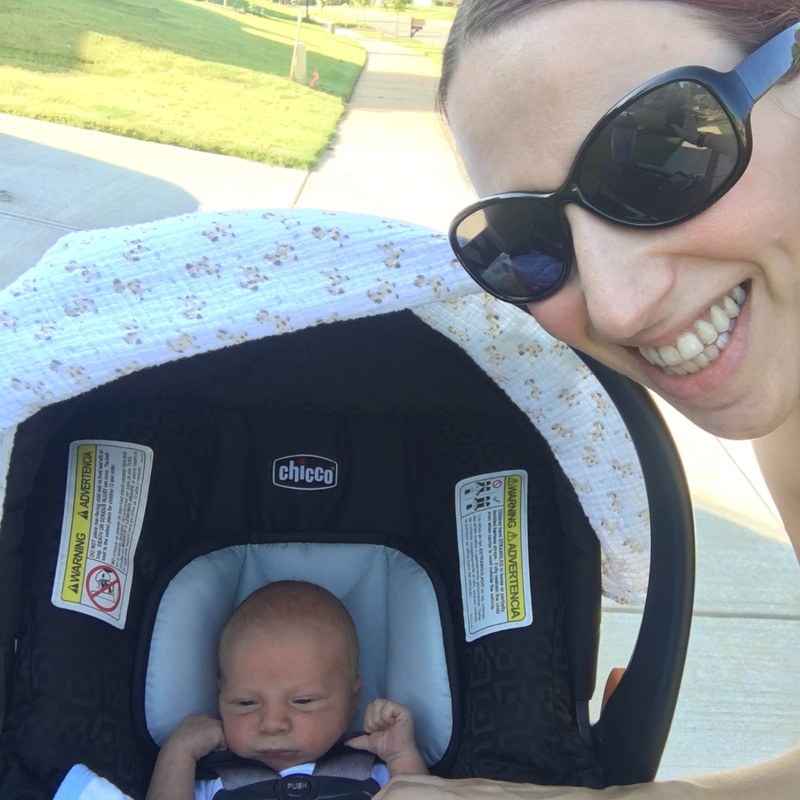 Last time, I scoured the world for prenatal workouts that were challenging, but not crazy. 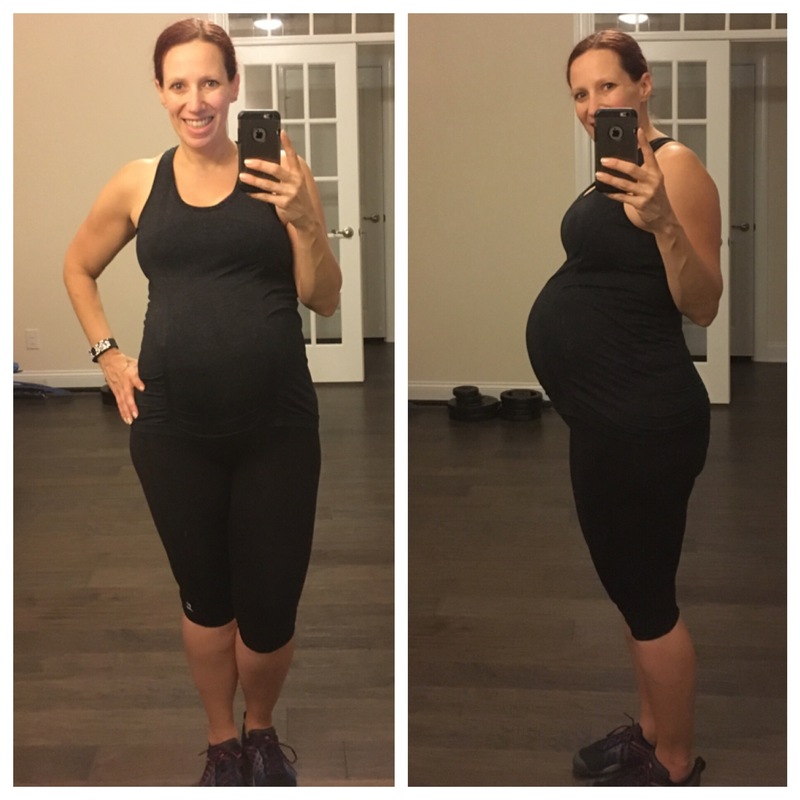 I had found a lot of lighter workouts and a lot of people trying to not change a thing from their normal workout routine, and I was in the middle…a big part of why I started this blog (and you can find some pregnancy-specific workouts here). I liked a lot of them, and could do things like go to a lot of prenatal yoga, go to the pool alone to workout, etc, without another child! So, take 2…by this time, I had a lot more experience as an exerciser, fitness motivator and group exercise instructor. And I was teaching 3 (non-prenatal) classes a week. So I knew that I would be doing my share of “regular” workouts. When I found out I was pregnant, I was doing a workout program called Hammer and Chisel. And I loved it. And I was sharing about it. And I didn’t want to tell the world I was pregnant yet! So I kept it up. I only needed to modify slightly (usually more because I’m clumsy and didn’t want to hurt the well protected baby than anything), and I started a new round after the first one was over, taking my time so I could also practice for my classes and not stress too much about sticking to schedule. Then, I got tired. Like super crazy, staring into space, falling asleep mid-sentence tired. And I needed to streamline my mornings as much as possible. 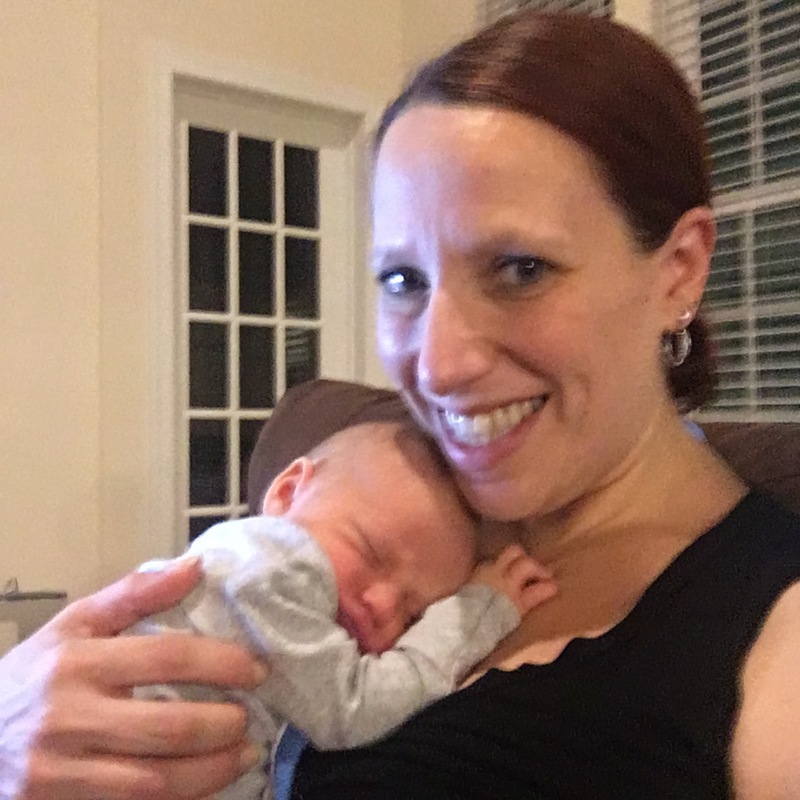 So I decided to check out 22 Minute Hard Corps for the 22 minute factor, changing out some of the workouts to do Active Maternity workouts (available streaming – free 30 day trial here) on days where I just didn’t want to modify from the videos. It was moving time next, and I needed no equipment workouts to get me through packing and unpacking. So I went to the same program I had done while moving a year ago, Cize…dancing it up in my living room/gym/wherever was available. This is also around when I stopped teaching. It was getting harder to show moves, breathe, cue, etc, and with the move, I was going to be driving longer than the class to get there and back. After that, I had about 10 weeks to go! Closing in! So I went nutty and decided to do T25 for those 10 weeks. Again, for short workouts, and remembering that there was a modifier at all times. The first 5 weeks were great…I modified the workouts, but could mostly stick to the modifications shown. I replaced the ab days with Active Maternity or another prenatal workout, and it was all going great. Until Beta, the name of the second 5 weeks. It was just too much for me to modify, especially at 430 am! Sometimes, that’s just too early for thinking! So I moved on…with 30 days to go. Now, I’m back to dancing, this time to Country music with Country Heat. Sometimes I even share videos of how that goes. You know you want to watch the pregnant chick dance to music she doesn’t listen to! I have about 2 weeks to the end of the schedule and the due date of this baby. I may finish, I may not. But I’m going to keep doing my best. Yesterday, something crazy happened to me. I was told that I’m someone “smaller” at my doctor’s appointment. Never has that happened. (Apparently, machines pick up more contractions if you’re smaller weight wise). What’s the difference that I’ve made in my pregnancies? 🔹I was about the same weight to start, but while I had been pushing myself to be there with my first, I had been about the same weight for a while with my second. With my first, I immediately gained 10lbs even before my first doctor’s appointment. 🔹I didn’t like food much with either, and feel like I actually ate a bit better with my first. This time, I’m more food averse and a lot of foods leave an awful aftertaste. But this time around, I have my shakes, which means that a) I’m filling nutritional gaps and b) while I’m eating less healthy in general, I’m likely eating less calories. 🔹 I have overall healthier habits this time around. I was starting out from not just a better weight position, but healthier and more positive in general. Check out my (non maternity) athleta tank, still going strong. I’ll be posting some more about other differences also! Today marks the end of a short, but awesome era in my life…my current stint as a fitness instructor. Though I’m sure I’ll be back, it will be somewhere new, with different people and after baby. I started taking some classes when we moved here that were in formats that I was certified to teach, but hadn’t (I taught Insanity for about 2 months a while ago, but not TurboKick or PiYo). I subbed for the instructor a few times. And then, she moved. So I got to take over those classes. For the past 7 months, it has been both wonderful and a little stressful. Adding 3 hours of classes, plus prepping, plus the extra energy of giving it your all some days when you don’t have it, was a welcome strain. I always left feeling amazing! Me after teaching TurboKick a month ago! But, with moving (a traffic filled) 20+ miles away and being 29 weeks pregnant, it was time. It’s been harder to show full moves. I spent half of Wednesday night’s class talking them through the moves with terrible heart burn. I’m constantly reminding them to do as I say, not as I do. While my class participants are super supportive, I’m sure it’s starting to detract from their workout, if not only by being distracting. So, this morning is my last PiYo class. And then I’ll move on. But I will take this experience with me as an amazing one and will use all the good feeling for it to get me started again after this kiddo arrives. Because more than anything, I love to share the ways I fit fun in my fitness. Sharing that with others is what I’m here to do. Or hit up any of the home programs if you can’t make it to a class or prefer working out at home! But, I hate food. All food. Especially vegetables (unless prepared by someone else!). Nothing is appetizing and even if I think I want something, it doesn’t taste like I thought it would. I’m still eating pretty well though. 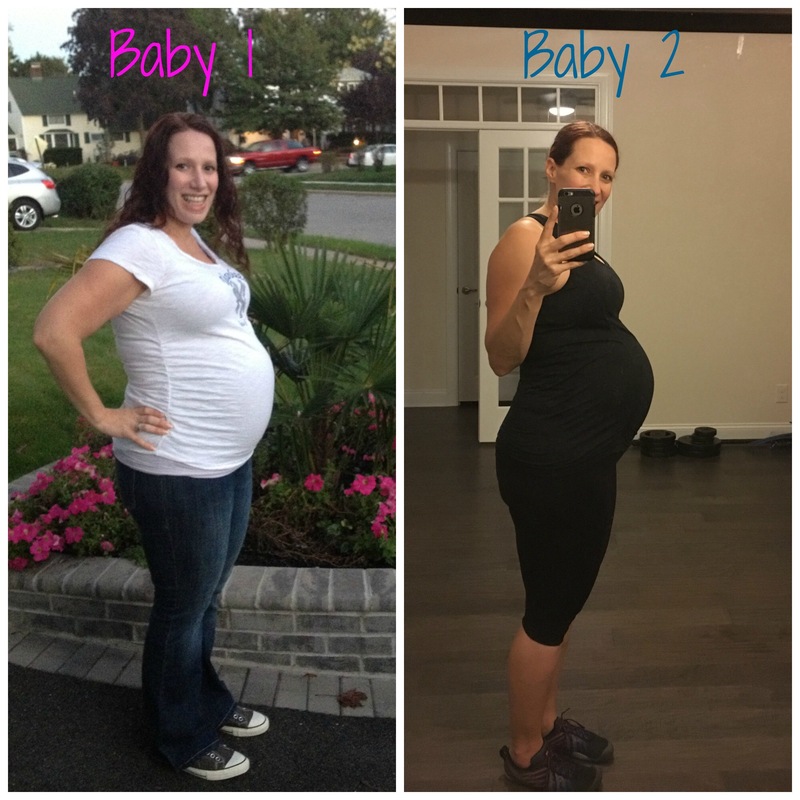 I’d been using the 21 Day Fix eating plan for most of 2 years prior to finding out I was pregnant. The plan isn’t about 21 days and done, it’s 21 days to make it a habit…and habit it is for me! Even with the food issues, I’m measuring foods in my containers, trying to sneak vegetables in when I can, and making smart choices out and about. Some examples…ordering a salad when out to eat last night, knowing that the pizza might look good on the menu but that it wont taste as good as it looks. Trading my hard boiled eggs for egg muffins made with vegetables. Adding fruits and vegetables to my Shakeology. And of course, keeping portions in check! Moral of the story? Creating healthy habits help when life gets in the way! Here’s one of my recent hidden-ish vegetable meals that I brought to a friend’s house…my favorite to share! For the recipe, sign up for my newsletter!